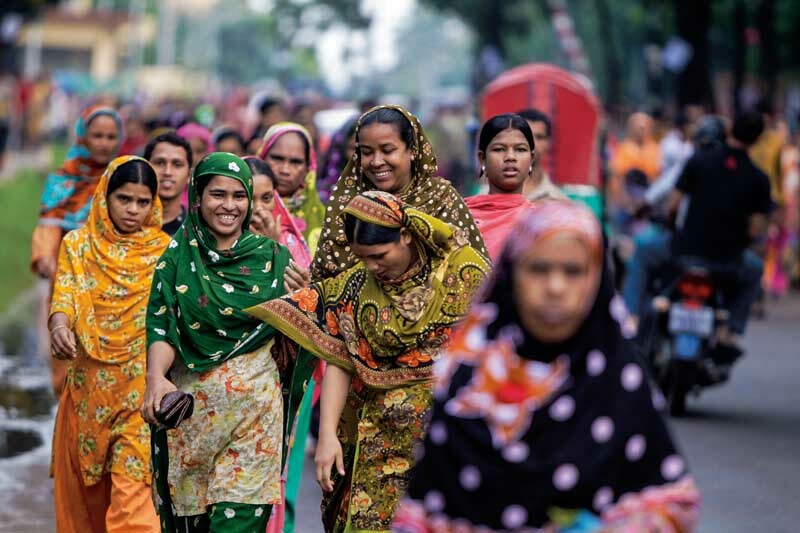 Bangladeshi officials at the Tazreen Fashions garment factory near Dhaka last year. A fire at the factory killed 112 workers. 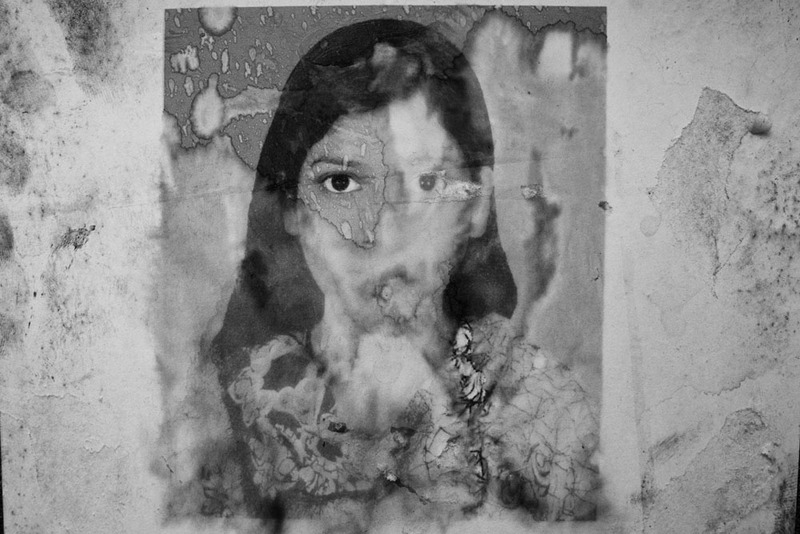 An exhibition of observations, both witnessed and imagined of the Rana Plaza collapse. 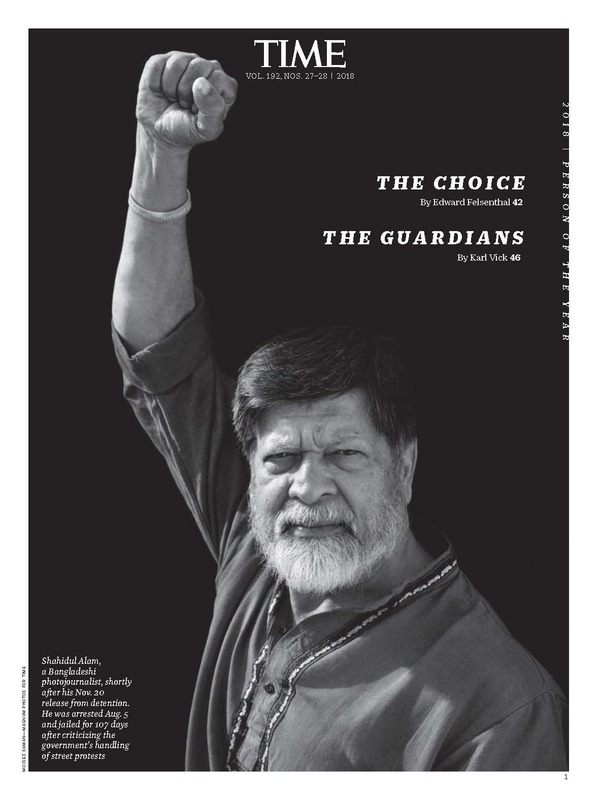 24th April, 2013. 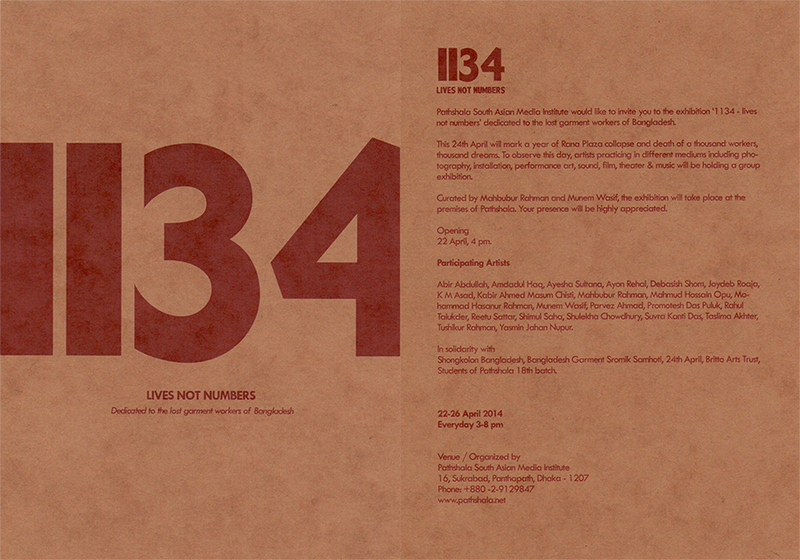 1127 garment workers perished in the collapse of Rana Plaza in Savar. Excluding natural disasters this is the single largest cause of death, post-independence. Hundreds of workers have been injured. Hundreds still missing. 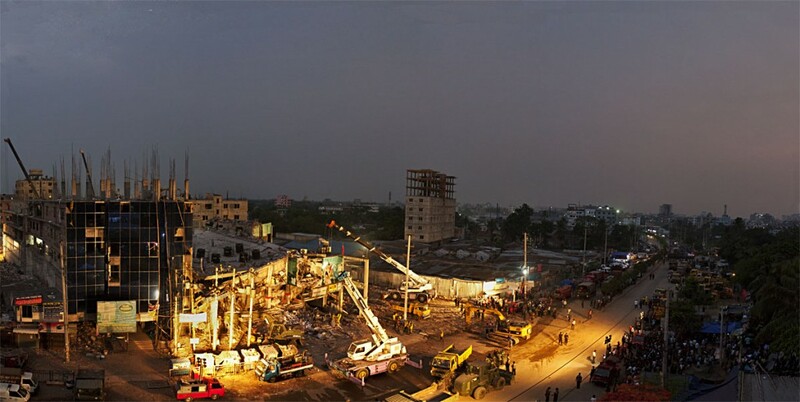 The rescue operation at Rana Plaza continued for 21 days. The loved ones of the victims held their vigil without respite, twenty four hours a day, scrambling from Odhor Chondro Park to Enam Clinic, to the morgue and back. 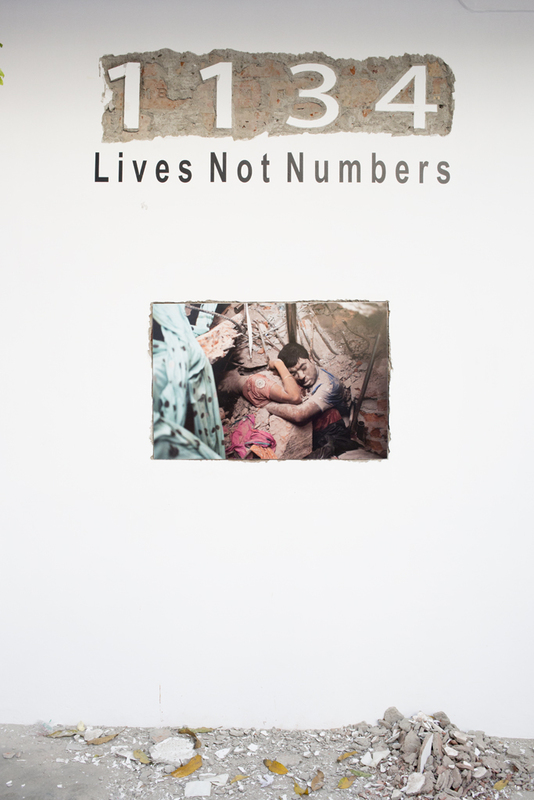 As tiring bodies wore down, they slept in nearby coffins. It is of course a tragedy of enormous proportions, but by calling it a tragedy, we are shielding the guilt. Making it appear as if no one was to blame. That this is the destiny of the poor and the downtrodden. Is that how it was? 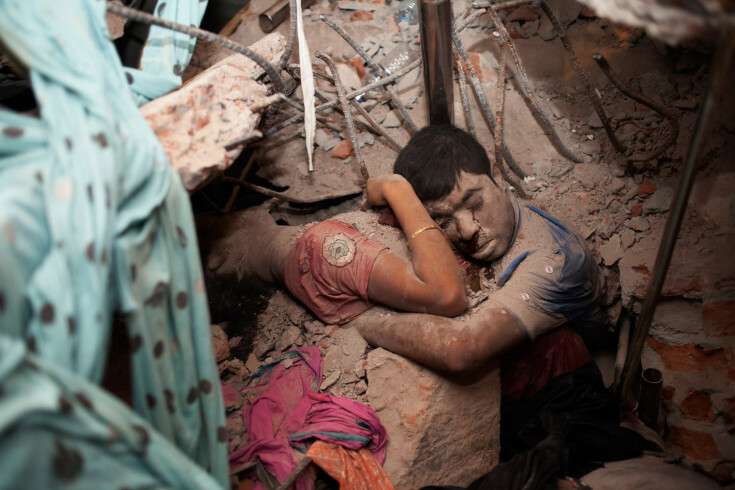 The history of the garment industry in Bangladesh is littered with incidents of fire and collapsed buildings. 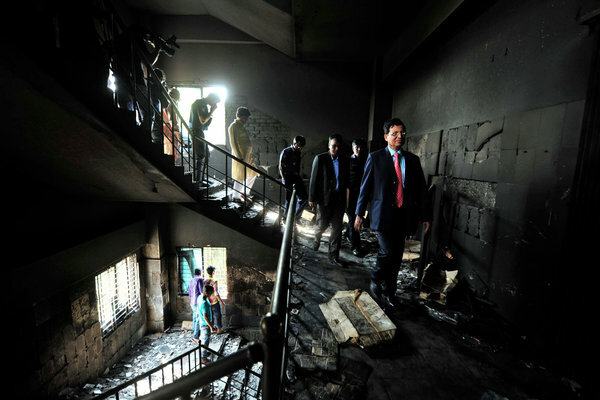 27 workers were trampled to death in Sharaka Garments in 1990, while trying to flee a fire. There have been many deaths since, some through faulty construction, some due to the absence of fire exits. The fire in Lucas Garments took away 10 lives in 1995. 14 died in Suntex Garments in 1996. 22 in Rahman and Rahman Garments in 1997. Another 27 in Tamanna Garments the same year. We lost 53 in Chowdhury Knitwear Limited in 2000. 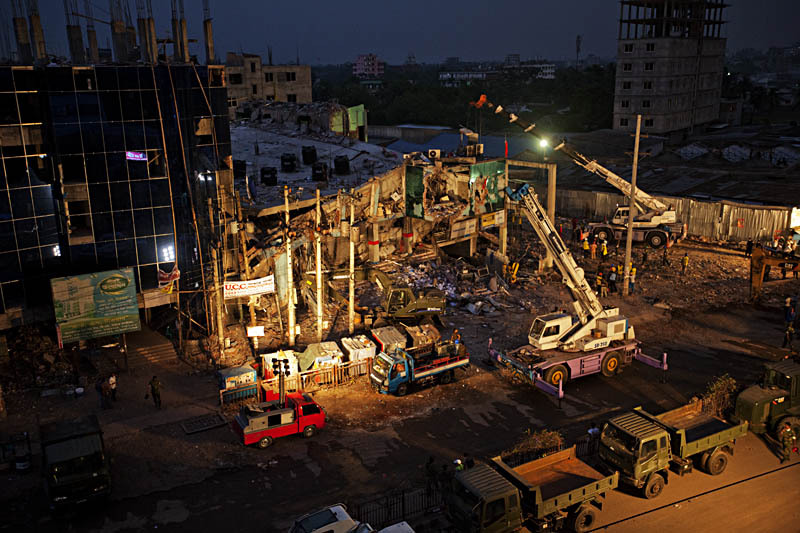 It is a longer list including the recent fire in Tazreen Fashions, with Rana Plaza being the latest addition. 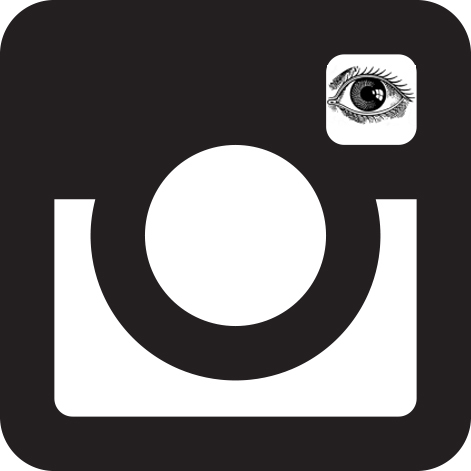 Drik had invited photographers, activists and other artists to submit work and register their protest. Their observations, recorded and imagined, form the basis of this exhibition. Murder, not tragedy. ?? The exhibition?“Tragedi Noi Hottakando”?will be opened at Drik Gallery tomorrow Friday, 31 May 2013 at 5 pm. The exhibition will continue till 5 June 2013. Please get your friends, family and clients to come and voice their support. This cannot, must not, go on.